“We live in a technological society. People expect technology when it comes to their health care.” – Patrick Gentempo, Jr. D.C.
Our Space Foundation certified Insight Technology establishes a reliable, scientifically valid, quantitative, multidimensional, representation of your condition. This is significant on many levels. It enables me to analyze your condition more accurately, communicate findings more effectively? while allowing you and I to track the effectiveness of treatment. Of significant importance is the fact that only about 10% of the nerves in the body have the ability to carry pain messages. The other 90% regulate your Motor System (muscles, movement, etc.) and the Autonomic System (organs, glands, & blood vessels). Therefore, misalignments of the spine, subluxations, can cause significant disturbance to this 90% affecting your health and function and you won?t feel pain or have a conscious awareness of the problem until a body system deteriorates into a recognizable health ‘condition’ or disease process. “The Insight addresses a chiropractor’s need of objective evaluation of neuro-spinal function related to vertebral subluxation.”- Christopher Kent, D.C. The Insight sEMG technology is similar to the technology used in EKG/heart rate measurement machines. One primary difference is that the Insight sensors are 1,000 times more sensitive, since the paraspinal muscles generate less electrical activity [action potential] than the heart muscle. The sensitivity and accuracy of the Insight technology is unsurpassed! One of the most exciting technologies in contemporary chiropractic practice, sEMG measures baseline status and changes in the electrical activity of paraspinal muscles in order to quantify the muscular changes associated with vertebral subluxations. 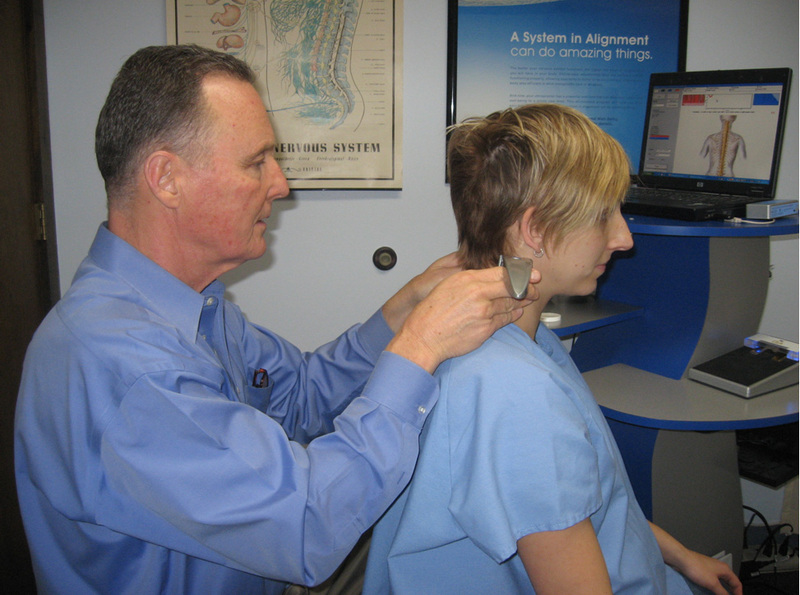 This makes it a powerful tool for tracking outcome assessment results from chiropractic care. The ‘electrodes’ used are sensors only. They receive information from the body and there is no output. All you will fee is the slight pressure of the sensors on your skin. The patented Insight Thermal Scanner assesses autonomic nervous system function (nerves that regulate organs, glands, and blood vessels – systems that maintain life) by measuring skin temperature differentials. It utilizes data published in the Journal of Neurosurgery for normative comparison and reporting. A patented, breakthrough aspect of the Insight’s thermal scanner design is that the sensor array can be adjusted to accommodate the 3 different sized spines (adult, adolescent, infant). The Insight PWP allows you to monitor the autonomic nervous system in new ways by collecting Heart Rate Variability (HRV) data. This is a unique, extremely exciting, and powerful tool for the chiropractor. Heart Rate Variability is the beat-to-beat variation in heart rate. This natural rise and fall of heart rate is caused by several physiologic phenomena, including breathing and autonomic nervous system activity. Healthcare professionals utilize HRV for a wide variety of clinical applications. Chiropractors use HRV to get a window into how the autonomic nervous system (ANS) modulates heart rate in the baseline or resting state. Published research has demonstrated that chiropractic adjustments have favorable effects on HRV parameters. For the first time, instead of measuring parameters on or around the spine, we are able to directly measure the effect of chiropractic care on the function of a vital organ. This significant ‘proof point’ catalyzes a patient?s understanding of the whole body health benefits of chiropractic care. The Insight Inclinometer is used to perform accurate spinal range-of-motion (ROM) measurements. ROM measurements are widely employed in chiropractic practice for clinical assessment of spinal dysfunction and impairment rating.